The Alter G Anti-Gravity Treadmill® is a revolutionary medical rehabilitation treadmill with its unique differential air pressure technology that provides accurate, safe and comfortable partial weight-bearing therapy while promoting normal walking/running patterns. This technology allows your Physiotherapist to specifically select the amount of your body weight you will run or walk with. In many cases this will mean an earlier return to running in the rehabilitation process. 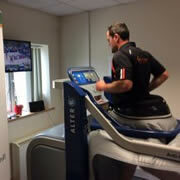 Alter G is used by elite athletes worldwide. All 20 Premier League Clubs utilise the device as an important part of the rehabilitation. Leinster, Ulster and Munster Rugby teams as well as the Irish Institute of Sport take advantage of this machine on a daily basis. All the below patients have used the Alter G at Donegal Physiotherapy & Performance Centre. 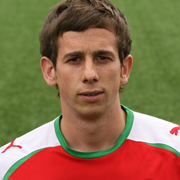 Eamon Seydak – Clinftonville FC. 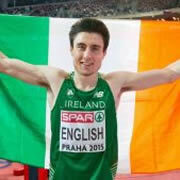 Mark English, Irish Olympic and International Runner. 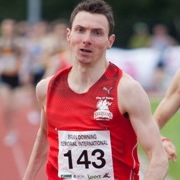 Conor Bradley, Irish National Runner. Michael Murphy, Donegal Gaelic Football team.